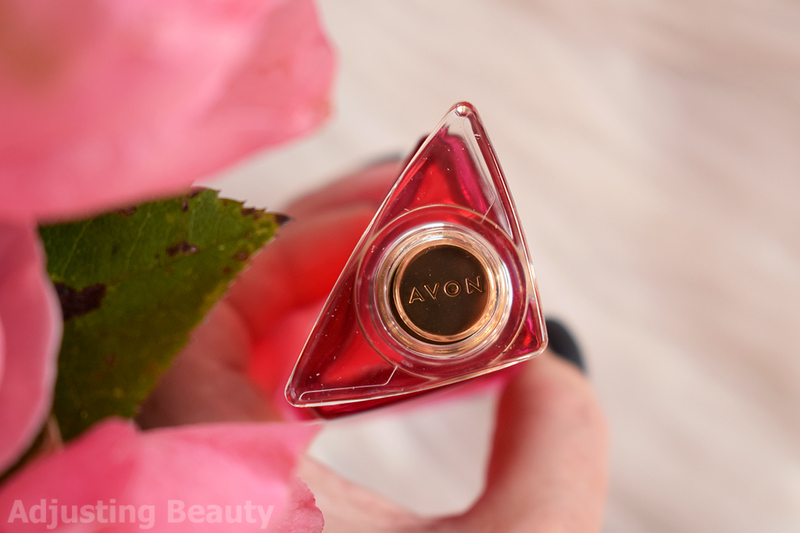 Avon is currently dominating my fragrance collection and there are a lot of their fragrances that are my all time favorites. A lot of their fragrances are made in collaboration with famous designers or celebrities. They already collaborated with Kenzo Takada once on their Life fragrance, so this is the second installment. 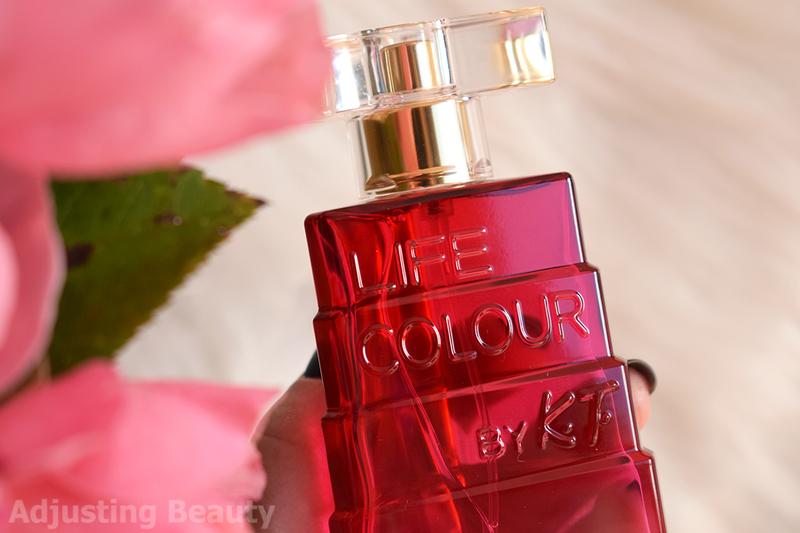 This time they named the fragrance Life Colour by Kenzo Takada. I don't know inspiration behind the design, but it's eye catching. It's sort of a pyramid design and from the bird's perspective it's triangular. Glass bottle has ombre from red to pink to transparent design. Cap is transparent paired with gold details. It's definitely worth displaying on a shelf. In it is 50 ml of eau de parfum and the regular price is 37€. You'll almost always get it cheaper. It's a plastic tube with yellow and red ombre design. Just a regular hole opening tube of body lotion in a standard size. In it you get 150 ml of product and the regular price is 6.50€. Notes: magnolia, pear, raspberry, rice basmati and white suede. 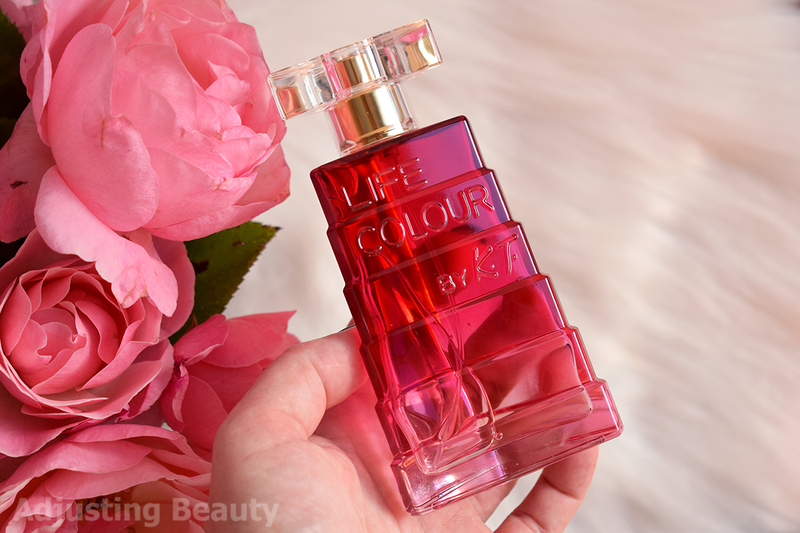 The first burst of this fragrance is very floral on me and then a bit of acidity and sweetness from fruity notes kicks in. It goes from floral to slightly acidic to sweet. I assume rice basmati is the next component that gives a bit of that cozy feel to this fragrance. White suede is the last one to come through and it gives it that edge and power. I love my base notes and as with any other fragrance, I also prefer this one once the initial floral fruity notes calm down and the strong base overtakes it. 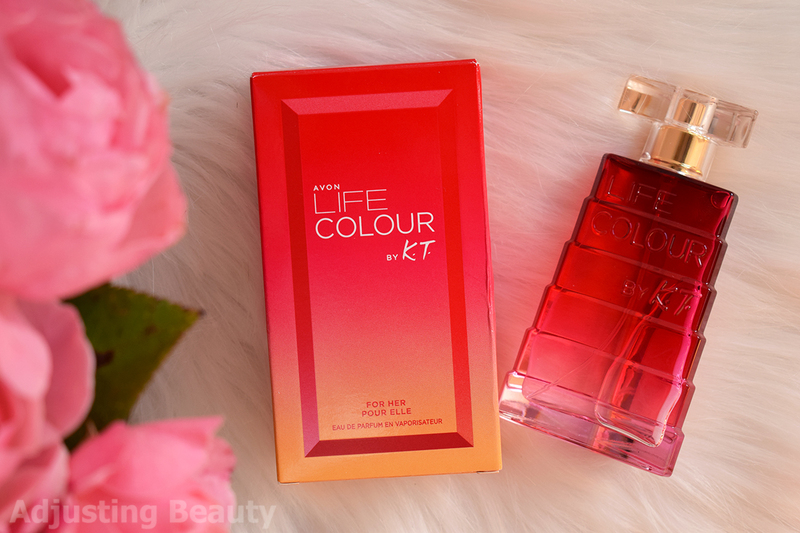 In general I would describe it as sweet fruity floral fragrance. 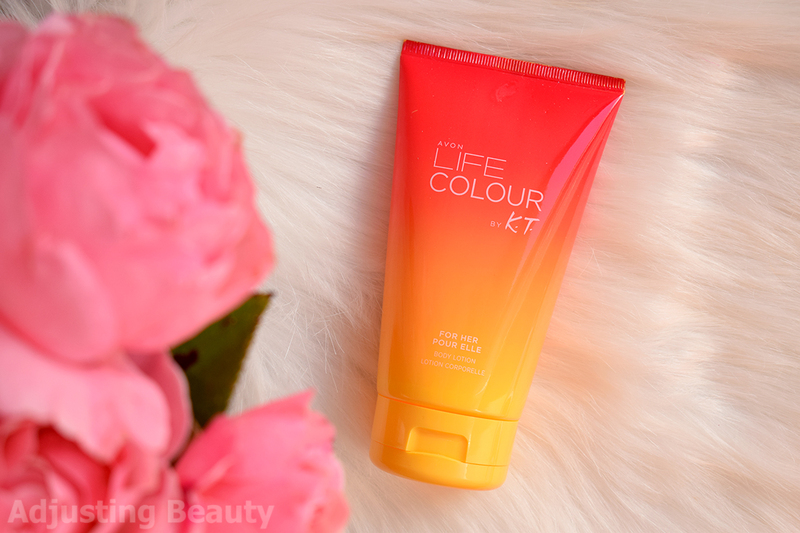 It's quite sweet, but the base notes combined with florals give it sense of sophistication. I'd say it's a more youthful and less powdery spin on Life fragrance. For my personal taste this is perfect for spring season, not so much fall. Body lotion has firm white creamy texture that is smooth and glides on the skin lovely, which might be due to dimethicone - a silicon. 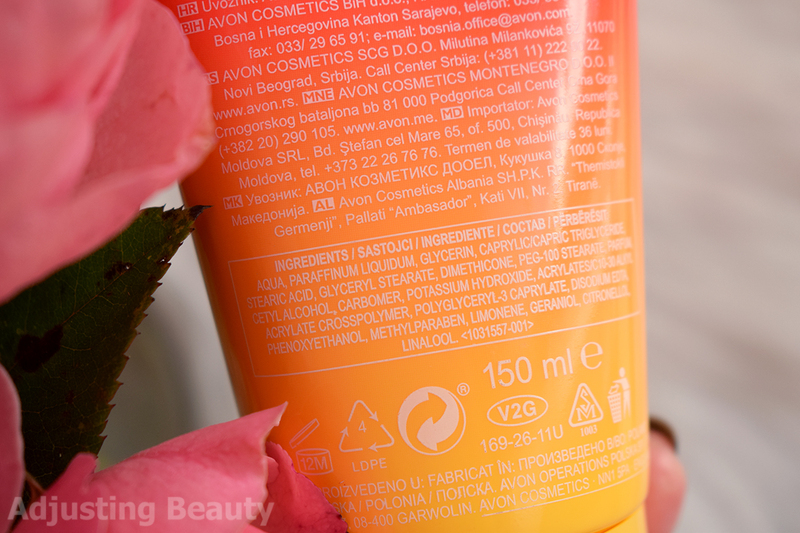 On top of the ingredients list are some nice humectants and emollients. In general I find the formula good for body lotion, it's not just alcohol and perfume. It leaves slight sheen on the skin at first, but then it soaks in completely. I don't usually have problems with longevity of fragrances, so this one stays on my skin just fine. It lasts almost the whole day, obviously getting less intense as the day goes on. I do notice that Life fragrance lasts better on my skin than this one. Body lotion doesn't have as strong of a scent as I would expect. It's mild and more of an addition to the parfum, but it feels moisturizing and almost a bit nourishing on the skin which is lovely. 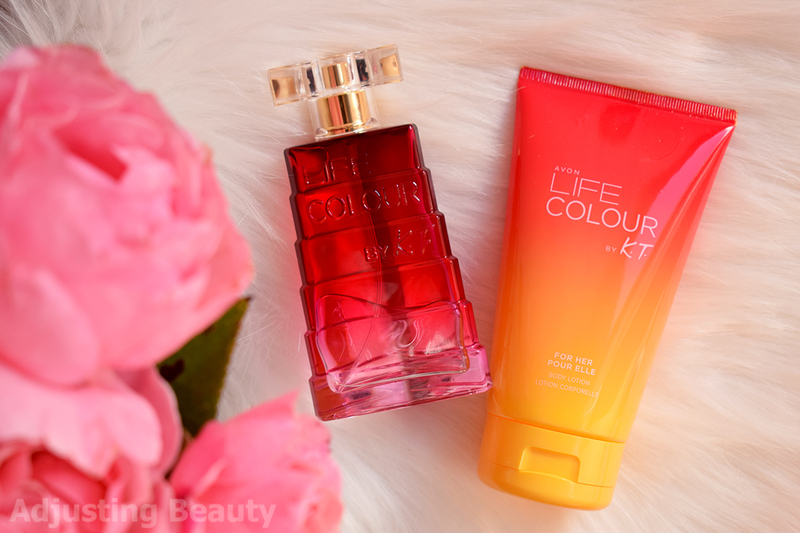 I like this fragrance, Avon did it again. It's sweet, which I love, more in a fresh fruity way and combined with florals and suede it gives it sophisticated feel. It's not your typical teenage sweet fragrance, rather a more grown up version, but still playful enough. I'd say that this is younger sister to Life or even its daughter. Design is gorgeous as it would be expected from a fashion designer and the price is definitely affordable. 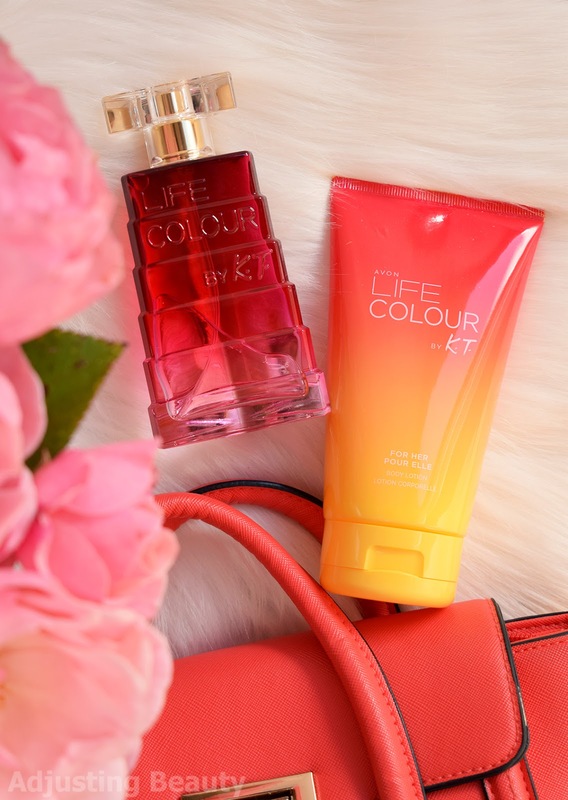 If you ever had Avon fragrance, you know, they're well worth it, it's just the matter of picking right scent that suits your style and taste.